As its name suggests, blue is the dominant colour at Blau BCN. Think, however, of a cool, jazzy, sophisticated blue – not the my-dog-done-died, 12-bar variety – and you’ll be closer to imagining the atmosphere at chef Marc Roca’s restaurant, located high in Barcelona’s Eixample district on Carrer Londres. Beyond the sapphire facade, the restauraunt itself is spacious and well laid out, with slatted dividers creating a sense of intimacy and wonderful black-and-white prints by famous local photographer Colita lining the walls. Roca has an impressive CV that includes stints in restaurants like Gaig. Since he moved Blau from the Costa Brava village of Begur in 2008 he has carved out a solid reputation in Barcelona for offering updated rustic dishes that are made special by skilful cooking. The restaurant, by virtue of its location and sensible pricing, has become a popular choice, especially for discerning local business people. The €30 evening 3-course set menu, which changes weekly, is excellent value, as is the €20 lunchtime menu. À la carte, expect to pay €12-€16 for main courses, €40-€50 for a full meal. Two tasting menus are available at €38 and €42 respectively. Drinks (not included in the set menus) are laid out in an intelligently colour-coded wine list that makes choosing a pleasure. Bottles range from €15-€46. I had a €19 Paco Garcia 2012 Rioja that punched well above its price point. A refreshing tomato salad on yet another hot Barcelona evening was a great way to start. The tomatoes, Marc told me, had been picked only the day before, and tasted like it: fresh and flavoursome, complemented by capers and wafer-thin celery. Tuna belly with a soy-based sauce. Top quality but a bit predictable. Tuna belly with an Asian-influenced sauce seems to be an obligatory menu component right now. I enjoyed the octopus a lot more. Tender, and gently seasoned with flakes of Maldon and a drizzle of paprika, nestled atop a fluffy cloud of foamed potato. Better yet was the corvina (meagre) with mojo rojo mayo. Straight from the Canary Islands with love, this impressed immediately with perfectly cooked fish, a pungent pepper sauce and crisp green veg. It’s a new dish on the menu but it deserves a permanent place. Young beef cheeks cooked for seven hours to spoonable consistency; a sticky, reduced jus; rosemary; and sweet, roasted fruit… delicious. No pyrotechnics, just patience and solid technique. Canelons, sunk in a quicksand of béchamel that’s studded with rovellons (saffron milk cap mushrooms), and piled with grated parmesan for an extra megaton of umami. A mixture of different types of meat inside the pasta cylinders – as tradition dictates – combine to form a rich, rich dish. Lemon sorbet and yoghurt islands in a sea of rosemary soup was a misfire. It almost worked, but didn’t: the rosemary was too overpowering and the flavours failed to come together. It’s a new dish on the menu and it still needs tweaking. Fortunately the next dish has been honed to perfection: a brie and roquefort cheesecake with sugared walnuts and pistachio crumbs. This is a mighty dessert, an alpha cheesecake, with the strength and size to intimidate but the maturity to show restraint. The blue cheese flexes its muscles and catches your attention but the lasting memory is of a cuddle from the creamy brie. Blau BCN is the kind of place I like. Lots of character, lots of big flavours, not afraid to take some chances but always grounded by good taste and respect for the ingredients. It’s also a bargain relative to the standard of cooking. It reminded me a little of Embat, and that’s a very good thing. Marc, ever ambitious, is planning to divide the front-of-house space up over the summer, adding an informal bar (with cooking done right in front of the customers) to the existing tables-and-chairs restaurant. I’ll definitely be back to try it. Blau BCN: Carrer Londres 89 / Passatge Lluís Pallicer 16, 08036 (Eixample Esquerra), Barcelona; Tel. (+34) 93 419 30 32; Metro Hospital Clínic. 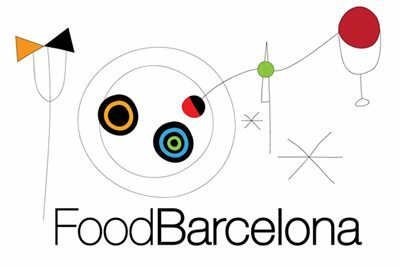 Find BlauBCN on the FoodBarcelona food map.